Why can't local newspapers or even our local government promote postcards like this idea. 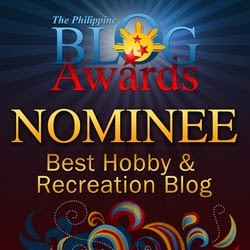 It will definitely help our tourism slogan "It's More Fun in the Philippines." For 20 summers, the readers of The Augusta Chronicle have reported their June-July-August trips through vacation postcards. For 20 summers we have made a game of it, trying to get a postcard from all 50 states, and for the past 19 you have succeeded admirably. WHEN: September 9, 2012, Sunday, from 9 A.M. - 5 P.M. Please visit the Bayanihan Collectors Club for the Auction details. Lots of old Philippine postcards included in the auction. The world's largest postcard measured 42.69 m² (459.511 ft²) and weighed over 300 kg (661.386 lb). 6,367 out of 7,813 photos were selected for the final postcard. 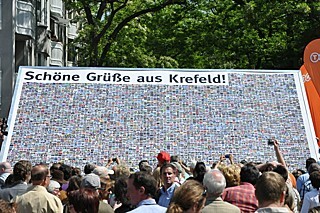 The German city of Krefeld created it and made it to the Guinness World Records. The postcard shows the Mayoyao Rice Terraces, one of the five clusters inscribed in the UNESCO WOrld Heritage Site under Rice Terraces of the Philippine Cordilleras. The rice terraces are dotted with pyramid-shaped typical Mayoyao houses and stretch from Barangay of Chaya to the bank of the Penangah River downstream. The Filipinas Stamp Collectors' Club will be conducting another free public lecture on June 17th at the Philippine Postal Corporation building. The lecture entitled "Basic of Stamps and Postcards Collecting" will be conducted by Mr. Rey Ong de Jesus. There will also be a Postal Heritage Guided Tour.